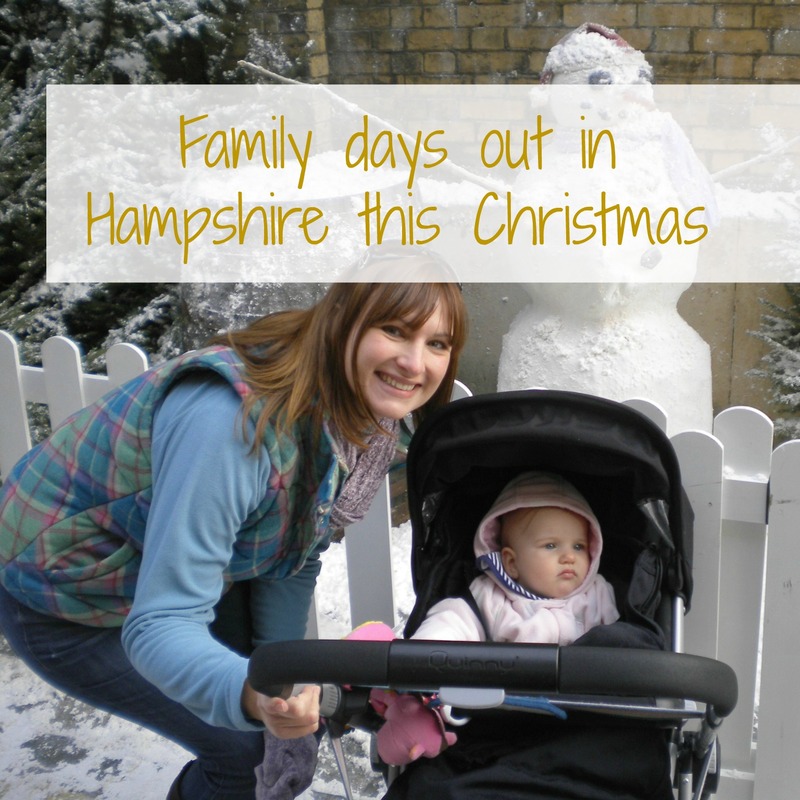 Last weekend I decided I wanted to make the most of our family time between now and Christmas by coming up with a bucket list of days out and adventures in our home county of Hampshire. The need for forward planning has come about because Mr Tin Box is away on a course from Monday to Friday right up until the holidays. It means Tin Box will be staying in storage for a few months – sad times – and we will have to fit quality time together around laundry and essay writing. Not a moment can be wasted. That is, unless it is allocated chilling out time. Yes, I am a control freak. It’s also the first year Tin Box Tot has been old enough to understand that Christmas is coming. While I know this should fill me with dread (and probably will every year from now on), I’m actually really excited too. I can’t wait to see her face when she notices the twinkly lights for the first time, chirps along to carols and meets Santa without bawling at ‘the strange man with a beard’. I love Winchester – its history, the fantastic variety of places to eat and the beautiful city centre. We are regular visitors. However, we’ve never been in December. For the past ten years the city has held a Christmas market with an ice rink outside the Cathedral. While I’m not a skater myself there’s something very seasonal about watching other people whizz around the ice. I’d also like the browse around the stalls and see if I can pick up some unique Christmas gifts. I went to this fantastic festival with Tin Box Tot two years ago. I think Mr TB must have been away again (blinking Royal Navy). It really is an amazing day out brimming with Victorian actors, market stalls, festive side shows and a snow-lined street. A new feature this year is the Magical Christmas Maze – I’m loving the sound of that. This is our closest National Trust property and I’ve been meaning to suggest a day out there for a while. In the summer they had a Charlie and Lola exhibition, which I’m sure Tin Box Tot would have loved. To get in the festive spirit the Abbey will be telling the story of A Christmas Carol with story sets around the house. Christmas wouldn’t be Christmas without this Charles Dickens classic so I can’t wait to check it out. I’ve visited these gardens a couple of times and have been really impressed at how family friendly they are. There’s some great playgrounds and trails for kids to follow, as well as lots of open space for them to run around. One of the Garden’s winter events is in conjunction with the Mayflower Theatre in Southampton where the 2015 panto is Aladdin. For one day only they are putting on a family Christmas trail. I think Tin Box Tot is a bit too young to sit through a pantomime, but she might enjoy this. So there you have it; a few activities I hope we’ll be sharing as a family pre-Christmas 2015. It’s not a long list as we also have plenty of birthday parties and family gatherings to fit, but I am secretly hoping we might be able to add to this. 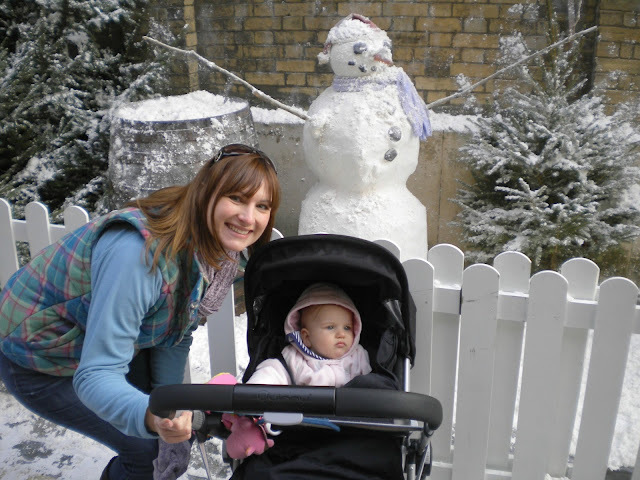 Have you got any festive days out planned or can you recommend any?